When seconds count in emergency situations, having top quality equipment on hand is critical. 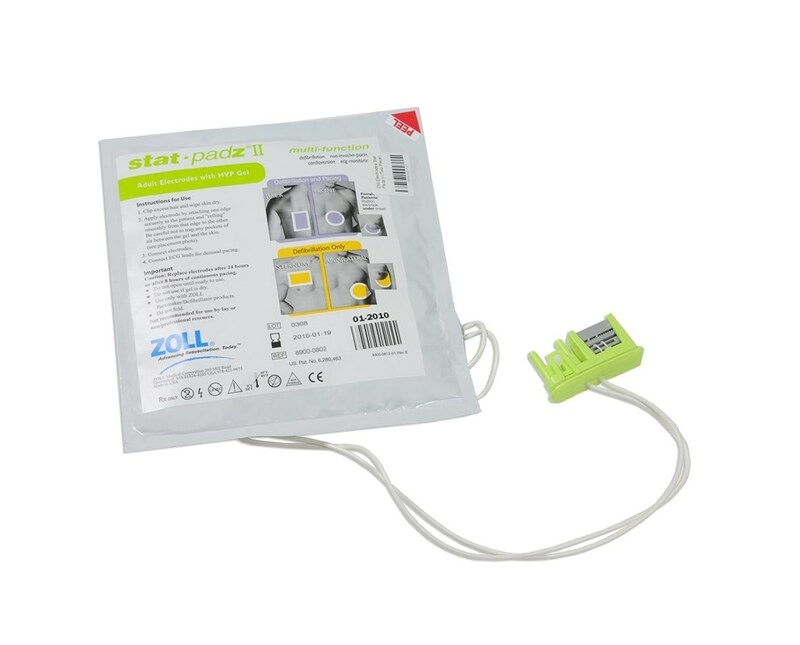 Zoll's stat•padz® II multi-function electrodes are cleverly designed for fast, easy, effective use in rescues, making them a top choice for use with AEDs. The electrodes feature green pressure sponge backing for optimal skin coupling as well as uniquely shaped pads for easy differentiation, illustrated to assist with proper pad placement. Specially formulated low viscosity gel provides the best skin coupling, lowers resistance quickly, and virtually eliminates dermal damage. These are pre-connected to cut down on preparation time and feature Speed Pack™, which keeps wires organized and untangled. 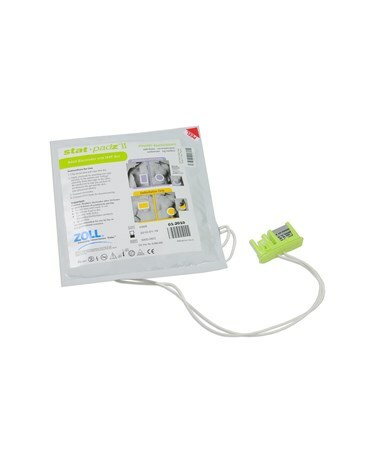 For extra convenience, the electrodes connect directly to AEDs for efficient rescues, saving precious time. The Padz have a 18 Month shelf life. The stat•padz® II are compatible with Zoll's AED Plus, AED Pro, E Series, M Series, and R Series defibrillators, and boast a two-year shelf life.